Ginger has an aromatic, spicy root which is used in both traditional and Western healing systems. Ginger is a popular spice, well-known for its medicinal properties, hence used as a vital ingredient in several home remedies. It have a fleshy spice which is brown in color, a pungent smell and a very hot taste. Ginger Green tea has properties of antibacterial, analgesic and weight loss. Ginger Tea contains many vitamins and minerals like Vitamin C and magnesium and it taken with lemon juice, honey or peppermint to taste of the ginger. Let’s see some of the amazing health benefits of ginger tea here on this page. Ginger tea plays an integral role in the process of losing weight and living a positive life. It is a fat burner that burns excess fat and does not affect the general weight. Ginger tea can help you feel full which helps to reduce your calories and shed weight. Ginger root that has one important medicinal properties of helping in lose weight in a natural way. Ginger tea is intended as a complement to a healthy, weight loss diet. If you also add a little exercise and a cup of ginger tea after each meal, you’ll reach your ideal weight in five weeks. Sure, it requires effort on your part, but there’s no doubt that it’s worth it. It improve digestive functions and also have a thermogenic effect that helps activate the metabolism, making it a potent fat and calorie burner. Ginger’s sharp, distinctive flavor can also help naturally boost your energy levels, both physically and mentally. Heat one cup of water and remove it from heat once it is boiling. Once the water is ready, add a small slice of ginger and let it steep for 5 minutes, covered. Thats it. You can also add the juice from one lemon and drink. It’s best to drink this tea before breakfast. Drinking Green tea has become a global health phenomena with its health benefits, ranging from preventing cancer to maintaining excellent heart health. Ginger tea helps to improve blood circulation and maintain optimum health. The compounds like gingerols and zingerone in it have a warming effect on the body, resulting in good circulation and thereby makes more nutrients, minerals and oxygen reach different parts of the body. It plays a vital role in proper digestion, which indirectly improves food absorption and avoids stomach pain. This can also help you to keep away from unnecessary belching. This improves your appetite by releasing gastric acids. Drinking ginger tea is beneficial in case of asthma. Ginger helps to loosen phlegm and expand the lungs, which in turn helps to recover from difficult breathing. It also reduces allergies and constant sneezing. The warm nature of ginger tea helps relieve pain and relax the muscles, thereby reducing menstrual cramps. Women dealing with irregular periods and those who experience heavy menstrual cramps may also find relief with ginger tea. Drink a cup of ginger tea if you are frequently suffering from cough and a runny nose. This helps to loosen phlegm and relax the respiratory system. It imparts warmness to the body and leaves you feeling fresh. It contains antioxidants that boost the immune system. Drinking a cup of ginger tea daily will cut the risk of a stroke as well as fatty deposits in the arteries. Ginger tea also lowers cholesterol levels and gives amazing results. Drink a cup of ginger tea to boost your mood and stay refreshed and calm. Ginger tea is a proven stress reliever due to its relaxing scent. Include more ginger in your daily diet to cure or prevent Alzheimer’s disease. Ginger tea reduces the loss of brain cells and protects these cells for long. Ginger tea can cause restlessness and sleeplessness. 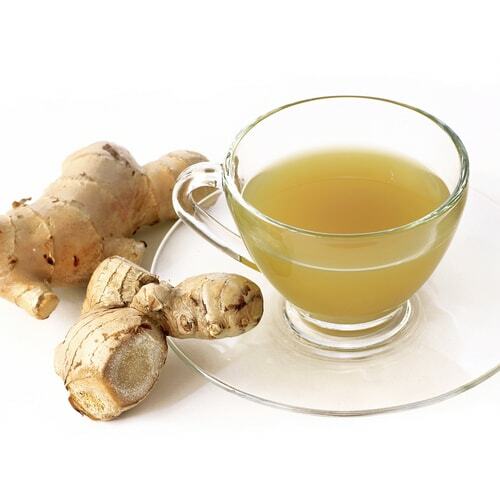 It is recommended that the Gallstones patients should not drink ginger tea. Also, Ginger tea should not be taken during pregnancy.